Travis Ganong smiles after his winning run at Kandahar in Germany on Jan. 27, 2017. Get ready for World Cup action. The Audi FIS World Cup comes to Squaw Valley this weekend, featuring the best women skiers in the world in slalom and giant slalom disciplines. Most people in the U.S. think that the Winter Olympics features the top alpine skiing event, but in reality, the World Cup circuit is the highest level of alpine racing. Each year on the WC circuit, the best men and women racers compete in North America and Europe for gold, silver and bronze medals in downhill, super-G, alpine combined, slalom and giant slalom. Some of those best WC racers are from our own home community of North Lake Tahoe-Truckee. Current U.S. 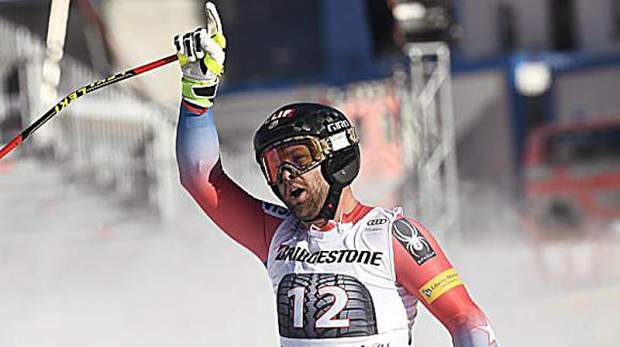 Ski Team athlete Travis Ganong, born and raised in Tahoe and a product of the Squaw Valley Ski Team, recently won his second World Cup downhill Gold Medal. His victory was on the famed Kandahar course in Garmisch-Partenkirchen, Germany, on Jan. 27, 2017. His previous victory was also in donwhill on Dec. 27, 2014, in Santa Caterina, Italy. The Kandahar course was described as gnarly, as it was covered in shadows, had technical sections, changing terrain and demanding jumps. The course was relentless, and 11 of the 55 starters did not finish the race. The race was the first of two downhills held in Garmisch and was a make-up from a canceled race in Wengen, Switzerland, earlier in the season. It was the first time an American man won in Garmisch since Steve Mahre in 1982. Previously, Ganong has won a Silver Medal in downhill at the World Championships in Beaver Creek on Feb. 6, 2015, and finished 5th place in the downhill in the 2014 Winter Olympics in Sochi, Russia. His next and final World Cup races of the season are in the downhill and super-G at the World Cup Finals in Aspen, Colo., on March 15-16. Visit http://www.alpine.usskiteam.com/athletes/travis-ganong to learn more about Travis Ganong and his season this year.